Nearly everyone swears - whether it's over a few too many drinks, in reaction to a stubbed toe, or in flagrante delicto. And yet we sit idly by as words are banned from television and censored in books. We insist that people excise profanity from their vocabularies, and we punish children for yelling the very same dirty words that we'll mutter in relief seconds after they fall asleep. Swearing, it seems, is an intimate part of us that we have decided to selectively deny. Incredible insights here. 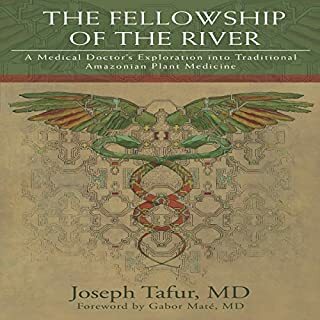 I grabbed this to find out more about Ayahuasca, and while there isn't nearly as much about that in the book as information on DNA, I was not disappointed. Without a solid foundation of microbiology or any kind of general science knowledge, this can be a bit tricky to comprehend without rewinding a lot towards the second half. It definitely demands multiple listens to pick up on everything but is not dry or boring. Highly recommended. This is the most impressive book covering DMT, Ayahuasca, and hallucination research I have read. It covers the full spectrum of aspects from the anthropolgy, right down to the nitty gritty physics of DNA. I'm going to buy this book in hard copy format too so I can reference it. It's along the line of other books that interest me in the area of Who Are We? What? Why? Where? When? exploration and books about Consciousness. A similar book (busting out from materialism,) even heavier on the biology/science that I am listening to (have to take breaks from it since it is too heavy on medical, chemical, anatomical and biological references) is the audio book titled Science and Reincarnation. 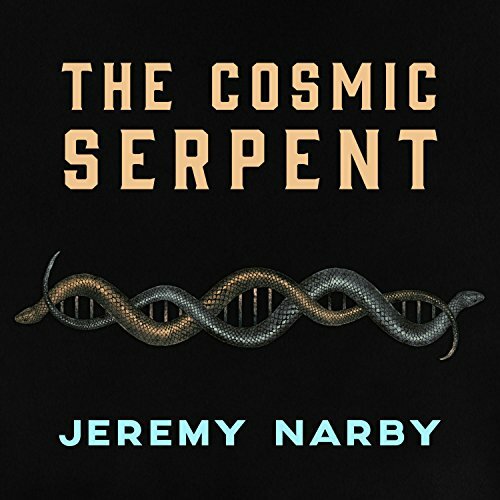 It is not as easy-listening as The Cosmic Serpent, which is nicely framed as an autobiographical discovery and has some excitement threading through it. 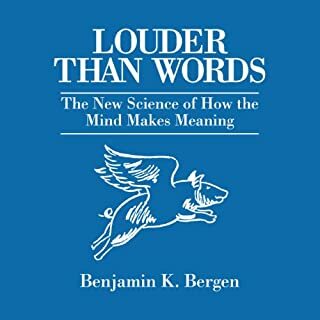 Other authors that may interest "left-brainers" who are dipping into Consciousness or Spirituality are books by Bruce Lipton, Candace Pert, Graham Hancock, Rick Straussman, Rupert Sheldrake, Robert Monroe, and Tom Campbell (virtual reality). And Michael Newton, Brian Weiss, William Buhlman . . . 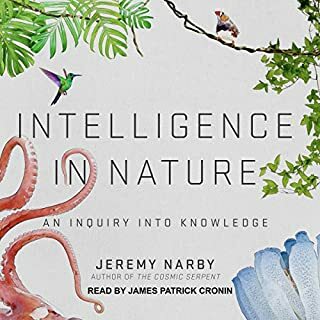 Loved this book - hope Jeremy Narby's other books will also become available in audio book format. Reading reviews of this book, I imagined it would be interesting, even if not necessarily offering a narrative I agree with. After listening to the entire thing, I'm baffled by how many people have reportedly enjoyed the book. I'm less baffled by the amount of people who think this is science. It's not that the science in the book is bad, it's that the science is not used to back up his irrational thoughts. (Spoilers) The "hypothesis" (I think) is that Amazonian people have a tremendous understanding of the medicinal uses of plants, due to their ability to see DNA, a conclusion he came to after seeing snakes during a hallucination, realizing that snakes are found everywhere and resemble strands of DNA. Like I said, he does discuss science, and his understanding seems solid. The issue is that he doesn't connect the dots in any logical way. The ultimate outcome of my experience with this book is a waste of a few hours of my time. Luckily, the money I wasted can be recouped. Interesting book, although one I probably could have passed up. He raises some good question and points. However, his ending "hypothesis" is based on his own conjecture. It starts out really cool, then he comes up with a few interesting question. You're hoping it will go down an enlightening path. But, by about halfway through, the book it feels almost occult-esq. That's why I'm giving it 3 stars. The really thought provoking points are muted by his reaching between information to construct his "hypothesis." Inspiring. Creative. 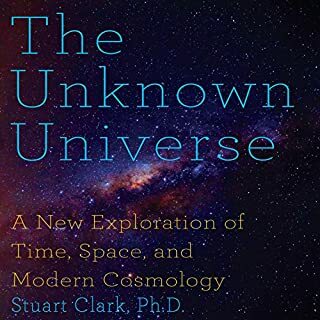 Provides a glimpse of the universal consciousness through a beautifully unique lens. His realization of the feed back loop between DNA and Consciousness and his logical progression to describe it is truly inspiring and genius. Carl Jung would be proud! His comparison between manifested symbols between distant cultures inspires wonder and is a fun anthropological journey. The presumption that we are essentially swimming in the micro-bio soup of our cells during deep meditations and hallucinations is ..strange.. but the analogues are baffling. Beautifully done. I will explore the phenomenon further through ayahuasca meditations. Thank you Jeremy! Well presented, if radical, theory. Presented for a non-scientist to follow, but makes some leaps in logic. A good companion to Behe's Inside Darwin's Black Box (on intelligent design). Need to listen again maybe? What made the experience of listening to The Cosmic Serpent the most enjoyable? The content. 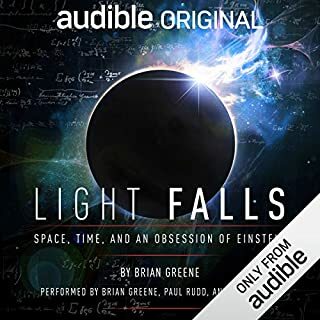 I sought this book out on audible when I first came across it at my local bookstore. So I knew what I was getting into, the content lived up to my expectations and so I was most pleased with that. Jeremy Narby I guess. There were other characters in the book, but obviously as the reader/listener you spent the most time following Narby's narrative. And because I have similar ideas to him, I naturally liked him the best. I mean it would likely be a documentary if anything, so probably something along the lines of "The sacred archive of knowledge" or something like that. I don't know, I spent three seconds thinking of that. I say "Let up" because it's the opposite of a let down, ya know? 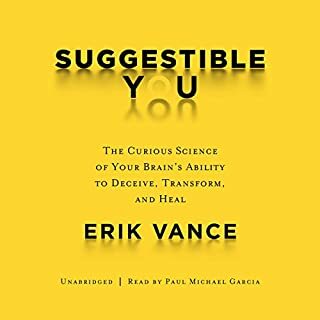 I wanted to listen to this book after listening to Graham Hancock's "Supernatural" and not only do the two books go very well together, but this book in and of itself lived up to my expectation of it. It was a fantastic experience. Would you try another book from Jeremy Narby and/or James Patrick Cronin? Would you ever listen to anything by Jeremy Narby again? I was intrigued by the story of the anthropologist going on the hallucinogenic journey with the culture he was studying. But then he makes wild leaps as to the connections between these visions and the structure of DNA and the nature of consciousness. Woah, hey wow man. It also ends up advocating Intelligent Design and attempts to critique scientific method based on intoxicated visions where he thinks he's come up with a unified theory of biology and consciousness. Woo woo. Dawkins would have a field day.